Regional author and print artist Merri Hogan’s collaborative exhibition (September – October 2017) comprises a range of nine prints. 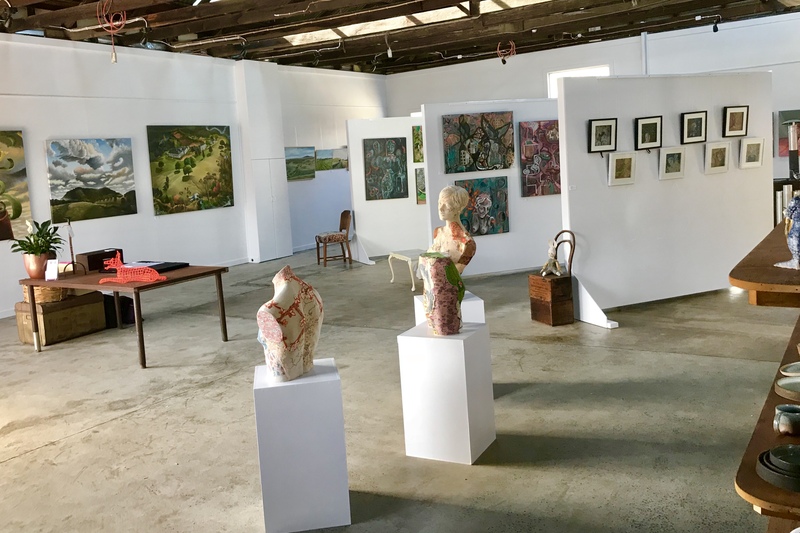 Merri has strong family connections to Clunes and reminisces spending time with relatives on holidays, therefore her current work is presented with a sense of belonging to the area and a fondness of the surrounding landscapes. 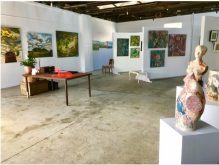 Five pieces of her current work depict regional landscapes that are sensitive to the local area, south of Clunes, particularly Mount Bolton near Learmonth, Victoria. In 2016 a severe grass fire destroyed acres of bush land in this area which left large granite boulders and rock surfaces naked and exposed. Pieces in this exhibition incorporate pigments and imprints of ephemeral matter taken from the area most affected by the fires. And finally a stand alone artwork within the exhibition is the story of The Pilliga Princess, a ghost who has reportedly been seen by many people travelling along the Newell Highway in NSW. The story of the bag lady, was a familiar sight of truckers who would see her walking along the highway with her shopping trolley especially at night in complete darkness. She was a recluse, old, gray haired and crazy according to the locals, and they dubbed her the Pilliga Princess. One night in 1993 the Pilliga Princess was hit and killed by a truck. The trucker who hit her said she was wondering across the road and hadn’t seen her until it was too late.